On 12 February 2017, the Swiss electorate will vote on the Federal Decree on the Simplified Naturalisation of Third-Generation Immigrants. 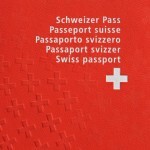 Switzerland is well known for its strict citizenship requirements. Currently, most foreign nationals must live in Switzerland for twelve years before applying, and prove they are well integrated. 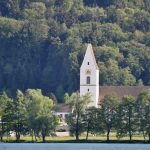 There are numerous young foreigners living in Switzerland whose grandparents emigrated to Switzerland and whose parents grew up in the country. Many of these people were born and went to school in Switzerland and are well integrated. Under current rules these people must follow the same process as those who have recently moved to Switzerland. The Swiss government wants to make it easier for third-generation immigrants to become citizens. Under the proposed rules, they will not be naturalised automatically, instead they would qualify for a faster simplified application process. 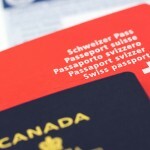 Spouses of Swiss nationals currently qualify to use this faster simpler process, known as facilitated naturalisation. The government wants third-generation immigrants to qualify too. Unlike the standard process, which requires approval from the commune of residence, canton, and federal authorities, the facilitated process is approved only at a federal level, with cantons granted a right to intervene if requested. All other requirements, such as paying tax, not receiving benefits, respecting the law and command of a national language would still be required to obtain citizenship under the faster facilitated process. Both Parliament and the Federal Council are in favour of the change. 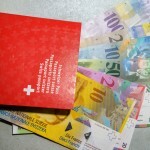 Of the main political parties, the Liberal Party (PLR/FDP), Socialist Party, and the Christian Democratic People’s Party (CVP/PDC) are in favour of the change, which will affect around 25,000 Swiss residents. The main party against it is the the Swiss People’s Party (UDC/SVP). The party says that some third-generation residents are not well integrated, and that there are some that even reject Swiss values and laws, referring specifically to Muslim minority groups. In addition, the party refers to concerns about the failure to respect for women’s rights, referring to an incident where male school pupils refused to shake their female teacher’s hand, a Swiss custom. The Swiss People’s Party has caused controversy with the campaign poster above. Swiss voters will get their say on Sunday 12 February 2017.